Representatives from the Federal Emergency Management Agency, Colorado Water Conservation Board, Chaffee County and the town of Buena Vista were in attendance April 27 for an open house meeting and presentation on the recently completed preliminary Flood Insurance Study and its accompanying Draft Flood Insurance Rate Maps. The maps includes base flood information and areas subject to significant flood hazards along Cottonwood Creek within Chaffee County and the town of Buena Vista. Before the presentation, representatives from FEMA and CWCB met with residents to go over impacts the FIRM and FIS will have on property owners. During the presentation, Thuy Patton with CWCB said the map updates had been ongoing for 7 years and said the primary focus of the updates was to digitize the maps and provide information on flood risks. She said the map updates were currently in the post-preliminary processing phase and said the town and county’s 90-day appeal period had begun March 10, noting it would be around another year before the FIRM and FIS became effective, following a 6-month compliance period after the 90-day appeal window. Town administrator Brandy Reitter said the compliance period was required for the Buena Vista board of trustees to pass and adopt an ordinance approving the FIRM. During the appeal period, Patton said residents will need scientific evidence proving FEMA’s original flood hazard determinations were technically or scientifically incorrect. “With our new studies and hydrology, we’ve been able to put that on a map so you can know what the (flood) risks are,” Patton said about the map updates and said the FIRM and FIS allows for current and future residents to assess flood risks on their property. During the question and answer portion of the meeting, residents expressed frustration over the amount of time left in the 90-day appeal period and the fact that town and county administration were not more proactive in informing residents sooner about the potential impacts the studies will have on their properties. “Our 90 days is halfway over and we’re just getting good information,” one resident said. While there were several questions submitted throughout the meeting, organizers did not ask residents to state their name or write their name on question cards, so question askers remained anonymous. While going over information on flood insurance rates through the National Flood Insurance Program residents asked why property owners in the high risk flood areas would be paying the same rates as residents in places like New Orleans and Houston, some of which are below sea level. Herrera said it was a national rate and said the potential for flooding was the same. “This area is nothing like Houston, yet we’ll be paying the same rate?” one resident asked, noting places like Houston and New Orleans flood more frequently and more significantly than Buena Vista. Herrera said depending on the FIS and FIRM, residents may pay the same rates as those areas. In regards to if residents would be able to rebuild or build on a floodway or floodplain, Jamie Prochno with CWCB said residents would be able to rebuild on the same footprint as the previous structure if flooding was to happen, but said if residents want to expand or build within a floodplain or floodway, they would need to work with local government to obtain a permit. Doering said in March that according to the maps, there are 276 residents inside of Buena Vista town limits affected by the floodways or floodplains. He said the majority of those residents are on the east side of the railroad, along Cottonwood Creek. Denied by the Colorado Court of Appeals and the Colorado Supreme Court, the cities appealed to the U.S. Supreme Court, which declined to hear the case. Slow to recognize that mountain communities now had the power to kill their water development plans, Utilities officials looked at another alternative. Instead of taking water directly from the wilderness area, the city proposed to build a dam on the mainstem of the Arkansas at Elephant Rock, a few miles upstream of Buena Vista. 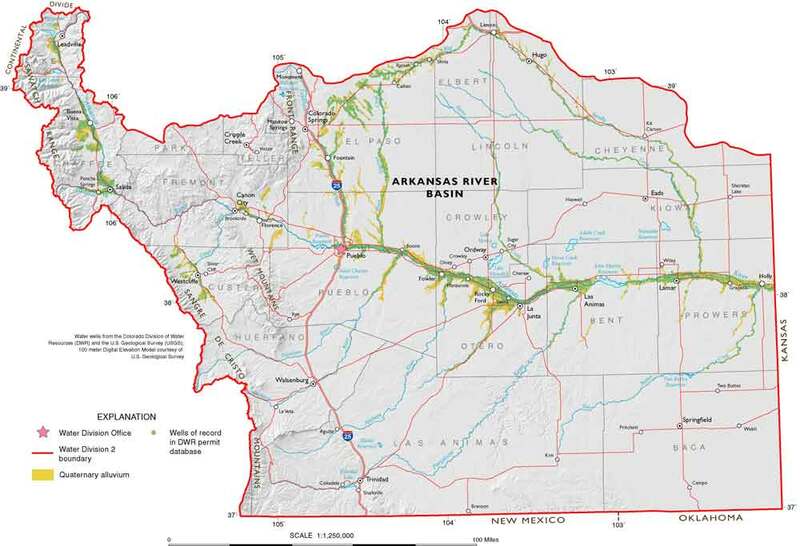 If trans-mountain diversions or dams on the Arkansas were no longer feasible, that left a single alternative for developing the city’s water rights. CSU would have to let its water flow down to Pueblo Reservoir, construct a diversion structure on the dam, and pump it uphill to Colorado Springs. It would be, water managers believed, the easiest project to build and permit. The plan for the Southern Delivery System was presented to City Council in 1992. Among the material submitted to councilmembers was a comprehensive description of the city’s existing water system. Water managers made sure Council was aware of the importance of the task before them. “We weren’t worried about hydrology,” said Bostrom. “The years between 1980 and 2000 were some of the wettest years on record. The water was there for the taking. 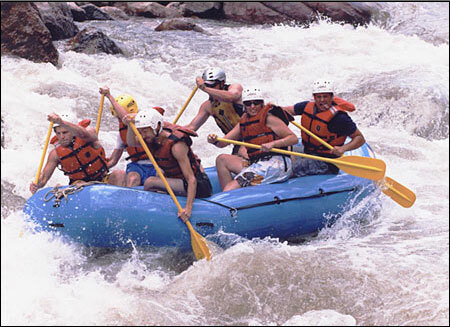 Shortages on the Colorado weren’t part of the discussion. Then as now, 70 percent of the city’s water supply came from the Colorado River. SDS would tap the city’s rights on the Arkansas, diversifying the portfolio. But even as the project moved slowly forward, the comfortable assumptions of a wet, prosperous future began to unravel. After receiving information from soil tests, Pueblo West officials will meet with Chaffee County officials to develop the next steps for revegetation and weed control efforts at the Hill Ranch, next to U.S. 285 north of Centerville. Alan Leak, a consultant for Pueblo West from RESPEC Water & Natural Resources, met with Chaffee County commissioners during their regular meeting Tuesday. Pueblo West had soil samples from the Hill Ranch sent off for analysis, Leak said. The analysis showed that seed mixes used by Pueblo West more than a year ago “were not suitable” to soil acidic levels at the Hill Ranch. He said he does not have the complete analysis yet. Larry Walker, Chaffee County Weed Department supervisor, said he would like to see the complete results once Leak has them. From the soil analysis, Leak said they will get recommendations on what seeds to use on the property. Once he gets that information and the full report, which should happen by the end of the year, he will meet with people in Chaffee County and develop a plan for next year. Chaffee County Commissioner Dennis Giese said he would like to have Leak meet with the commissioners at their February work session to discuss the plan. For next year, instead of just trying two test sites with the same idea, Pueblo West might try “a bunch of different things” and see what works. That way if one idea does not work, they do not waste the whole year, he said. Pueblo West purchased the Hill Ranch water rights, and part of the purchase conditions require the municipality to revegetate the land with local grass before it can use the water right, county officials said previously. Leak said he last met with the county commissioners during the summer, when they discussed Pueblo West’s summer and fall plan for the Hill Ranch. At the time he told commissioners about a proposed plan for weed control and two sites for test crops. He explained a process consisting of tilling two test sites, planting a sterile sorghum and mowing the property to keep weeds down. Each of the two approximately 50-acre test sites was tilled to mix peat in with the soil and planted with a sterile sorghum. Sorghum was planted to help reduce the acidity and build root mass in the soil. The efforts resulted in “a fair sorghum crop” at the test sites, Leak said. They also found that “in most parts the peat is not as deep as we thought,” he said. The test sites had irrigation water run onto them, about 1,500 acre-feet, Leak said. So far Pueblo West “has expended $115,000” this year on its Hill Ranch efforts, he said. Walker said, considering the work he has done to help with the Hill Ranch revegetation and weed control efforts, he wonders if the county should perhaps get compensated as a consultant. “Weed control was somewhat successful,” Leak said. The Hill Ranch was mowed three times, and the area had some selective grazing. “The guy mowing did a great job – a month too late,” Frank McMurry, a rancher who lives near the Hill Ranch, said at the meeting. “We have a monumental weed problem, due to the timing.” When it comes to mowing to keep weeds down, timing matters, he said. “We probably got up here a little late a few times,” Leak said. However, Pueblo West did make an effort to get Hill Ranch mowed. Next year, they want to get to the mowing earlier, he said. Because the weather can change and affect the growth of weeds without much warning, McMurry said he thinks Pueblo West should hire someone local to monitor and manage the Hill Ranch site, not someone from Walsenburg. A local person could stay apprised of the conditions and know what they mean for growth on the site, Commissioner Dave Potts said. Rights to irrigate the area known today as Hill Ranch predate Chaffee County by more than a decade. Decreed in 1868, the rights permitted diversion of water for agriculture and ranching. And so it remained for more than a century, even after sale of the rights by the Hill family to Western Water Rights Limited Liability Partnership in 1986. 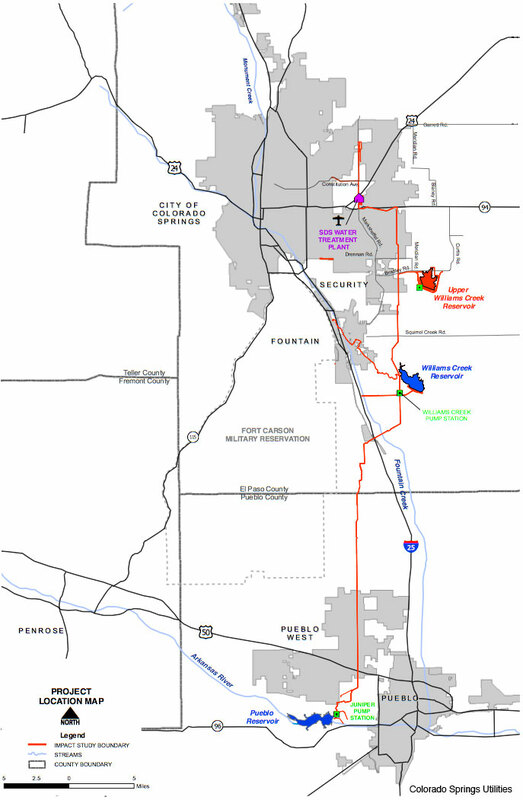 That all changed with the subsequent sale of the rights to the Pueblo West Metropolitan District (PWMD) in 2008. The PWMD, home to nearly 30,000 thirsty people, needed the rights to fuel a growth rate that remains among the fastest in the state. The rights are significant, totaling nearly 1,900 acre feet of water. An acre foot totals nearly 326,000 gallons. Under the decree, the rights would convert from agricultural to municipal. Included in the terms was the cessation of irrigation activities. The land would be dried up and restored to its pre-irrigation state. The irrigation made growth possible for more water-loving vegetation, including aspen and cottonwood trees, and Russian thistle, a non-native species also known as tumbleweed. Under the rights transfer, the intrusive weeds must be removed and native grasses restored. PWMD contracted with Denver-based WRC Engineering to perform the dry-up. The plan was to cease irrigation to dry up the land, defoliate the intrusive species and minimize windblown weeds and dust, followed by the introduction of a prescribed seed mixture from the Natural Resources Conservation Service (NRCS). 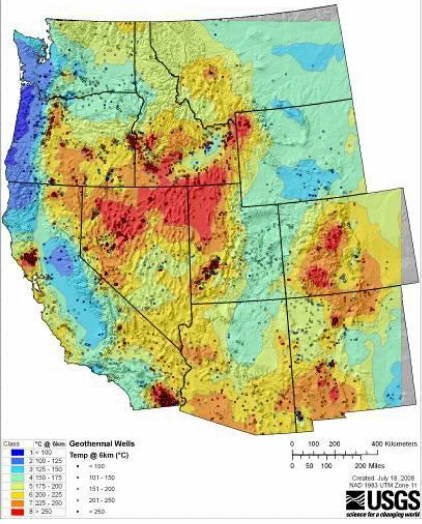 Chaffee County commissioners passed a resolution approving the county’s new geothermal 1041 regulations and lifting the moratorium on geothermal development in the county during their meeting Tuesday. The county commissioners heard and incorporated comments from Chaffee County attorney Jenny Davis on the proposed geothermal 1041 regulations. Her recommendations changed some of the recommendations made to county commissioners by the Chaffee County Planning Commission. At the county commissioners’ Sept. 3 hearing on the proposed 1041 regulations, commissioners instructed staff members to incorporate most of the Chaffee County Planning Commission recommendations. The Planning Commission had recommended that the 1041 regulations not govern surface uses related to geothermal development, leaving surface uses to be addressed through a county land-use change permit. Davis recommend the 1041 regulations include surface uses and not require the applicants to go through both the 1041 and the land-use change processes. Having an applicant go through both “would be a redundant process,” Davis said. Having the 1041 process address the above-ground uses would allow for more flexibility in a process tailored for geothermal projects. Davis also recommended the commissioners keep existing language regarding use of geothermal resources in the environmental impact analysis section of the application process and not limit those uses to “legal uses.” With a domestic well, the owner has no legal right to the water’s heat, only the water itself, Fred Henderson, chief scientific officer for Mt. Princeton Geothermal, said previously. People using heat from geothermal water without a legal right to the heat can change their well permits to define and allow use of the heat, he said. Some businesses, such as bed and breakfasts or vacation rentals, may have used the heat from their wells for years, not realizing they need to change their permit to authorize that use, Don Reimer, Chaffee County development director, said previously. Leaving the language open to all uses allows the commissioners to hear comment from all users, Davis said. Henderson spoke in favor of keeping the change that requires a notification for exploratory drilling to a depth of less 2,500 feet, and the commissioners concurred. Jeanne Younghaus with Chaffee County League of Women Voters, said the league has concerns about companies drilling and leaving without cleaning up their exploration. More information about the county’s geothermal 1041 process is at http://chaffeecounty.org/Geothermal-1041. 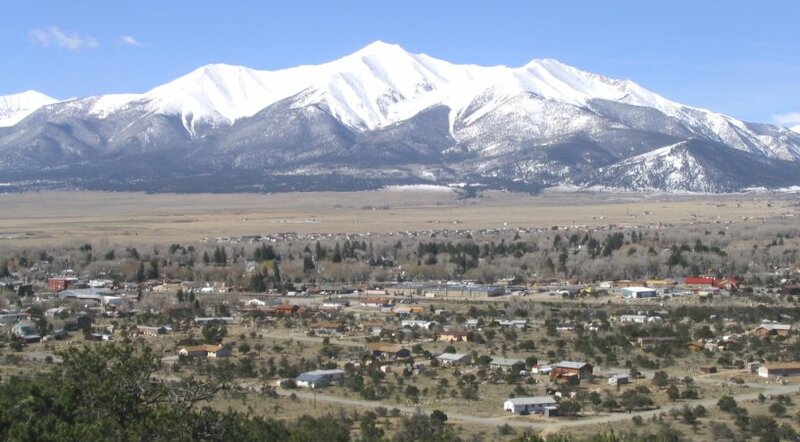 In other business, Chaffee County commissioners instructed staff to draft a resolution that would amend Nestlé Waters North America Inc.’s 1041 and special land use permits to allow them to switch their augmentation agreement from the city of Aurora to the Upper Arkansas Water Conservancy District. More geothermal coverage here and here. Commissioners continued the hearing so staff could gather more information about existing use of geothermal resources and to allow time for the League of Women Voters of Chaffee County to review the recommendations. The commissioners did not make a decision on a recommendation to add the words “legal uses” before “geothermal resources” in the environmental impact analysis section of the application process. With a domestic well, the owner has no legal right to the water’s heat – only the water itself, Fred Henderson, chief scientific officer for Mt. Princeton Geothermal, said. People using the hot water illegally can change their permits to define and allow use of the heat, he said. Some businesses, such as bed and breakfasts or vacation rentals, may have used the hot water from their wells for years not knowing they need to change their permit to authorize their use, Don Reimer, Chaffee County development director, said. The original language of the draft 1041 regulations did not specify “legal” geothermal resources because its vagueness could offer more protection to county residents who use a geothermal resource, Jenny Davis, county attorney, said. In some cases people may have used the resource before a process to define and authorize the use existed, she said. If people who rely on the hot water can change their well permits and make their use legal “without breaking their backs,” Chaffee County Commissioner Frank Holman said he would “like to place some onus” on the users to do so. He asked staff to get more information, such as what is involved in the process, how much it costs and how long it takes. Of the Planning Commission’s more than 20 recommended changes, most consisted of small changes such as correcting errors and clarifying language, Reimer said. • Making all surface use go through a county land-use change permit, instead of addressing the uses in the 1041 process. • Making exploration going less than 2,500 feet deep require only a notice to the county and no decision. • Allowing for the appeal of decisions made by the director on activity notices to the board of commissioners. County commissioners told staff not to incorporate a recommendation allowing for a discharging system. County commissioners started public hearings on the geothermal 1041 regulations in May. During a July 30 public hearing on the proposed new land-use code, planning commissioners decided to ask county commissioners to hold any decisions on the 1041 regulations until the Planning Commission could review and comment on them. The county commissioners agreed Aug. 6 to hold any decision on the regulations and continued their public hearing. The county commissioners will hold their next hearing on the draft regulations Oct. 1. “We’re really close,” Commissioner Dave Potts said.